If Ng, Dalio, & Leitch are into meditation, what does that mean for the rest of us? 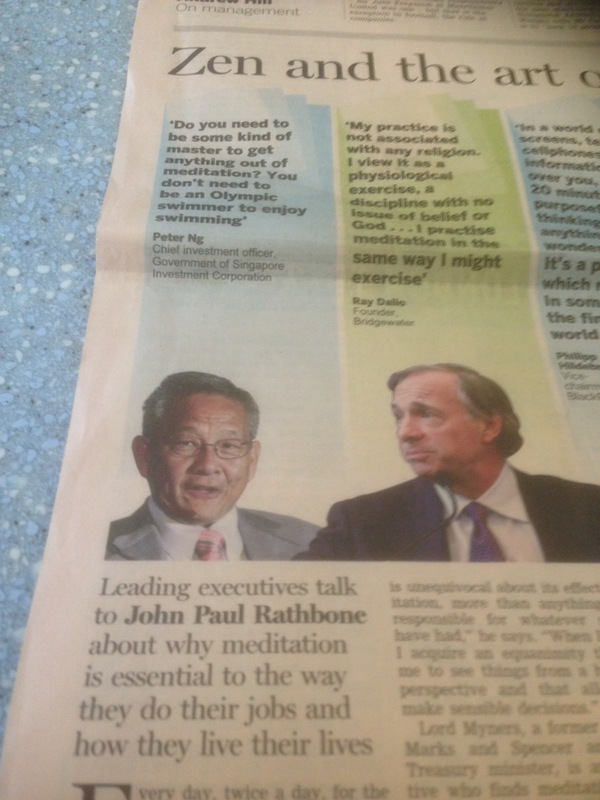 John Paul Rathbone wrote in Tuesday’s FT: “…odd as it may seem that financiers, often lambasted for their lack of ethics, are looking to meditation in the wake of the financial crisis, it may be because of the crisis that more are turning to it”. This trend is interesting. In my own work I notice an increasingly willingness of senior clients to explore “mindfulness”. Posted on September 19, 2013 by Ciaran Fenton. Bookmark the permalink.